Why Aren't Central Americans Getting Asylum In The US? Tens of thousands of Central American children and families have streamed into the United States in recent years, and human rights advocates and the United Nations have called on the U.S. government to treat them as vulnerable refugees in need of protection. A sizable number of those children and their families have applied in recent years for refugee status, but only about 4 percent of asylum claims from Guatemala, Honduras and El Salvador are successful, a jarringly low number for countries with some of the highest murder rates in the world. Claims for asylum (which is slightly different: Asylum is for people already in the United States, while refugee status is for those applying from other countries) have jumped as the numbers of Central American migrants coming into the U.S. has ballooned in the last several years. 9,898 people from the “Northern Triangle” countries applied for asylum in 2013, up from 4,359 in 2009, according to statistics from the Department of Justice. But in that same period, the overall success rate of these claims has steadily remained in the low single digits. “Frankly, I don’t think it’s surprising at all,” said Muzaffar Chishti, director of the Migration Policy Institute’s New York office. The standards for getting asylum, he said, are very narrow: A person has to prove that he or she is being persecuted based on race, religion, political views, nationality or membership in a particular social group. Fleeing general violence isn’t grounds for getting asylum in the U.S. But what constitutes a “social group,” Chishti said, is the defining issue for many of the Central American asylum cases. 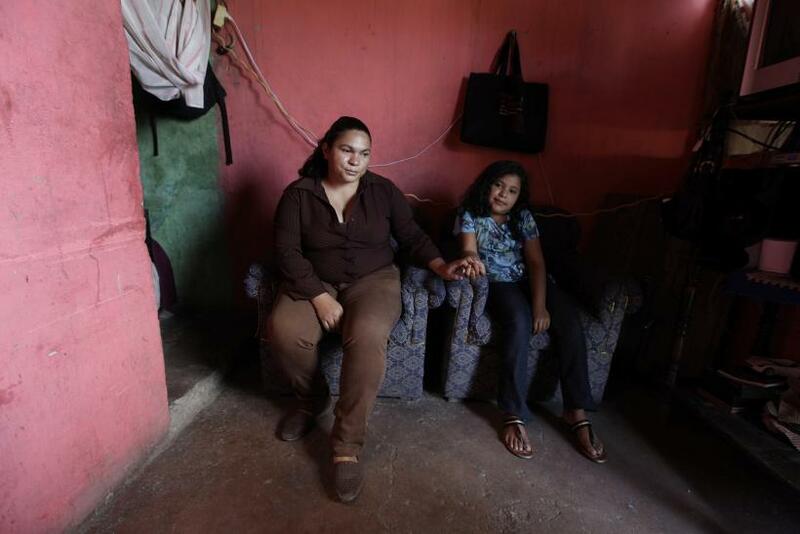 The dominant gangs in Honduras and El Salvador – the Mara Salvatrucha and Barrio 18 – are known for recruiting children as young as six into their ranks, with violent consequences for those who refuse. Some immigration lawyers argue that this amounts to persecution based on being in a certain age group -- an opinion echoed by the U.N. Human Rights Commission -- but that argument isn’t universally accepted. In contrast, asylum applications from China have some of the highest success rates of any country. From 2009 to 2012, immigration courts granted around 42 percent of claims from China, and that rate spiked to 80 percent in 2013. Much of this, Chishti said, has come from pregnant women who say they face forced abortions under China’s one-child policy, which qualifies as persecution. There are other avenues for protection if migrants’ asylum claims aren’t successful. Many Central American migrants have received Temporary Protected Status – which the president may grant in cases of armed conflict or environmental disaster – or, in the case of children, Special Immigrant Juvenile Status, which courts grant for neglected, abused or abandoned minors. The Migration Policy Institute estimates that some 276,000 Hondurans and Salvadoreans already benefit from TPS. It might seem that protection is protection, regardless of the legal jargon behind it. After all, much of the national debate on child immigration in the U.S. hinges on the much simpler question of whether the unaccompanied child migrants should be allowed to stay at all. But status matters: Asylees may apply for permanent legal status in the U.S. after one year, while those with TPS have to renew their status every year. Those with TPS also aren’t eligible for most federal benefits, so those who end up renewing their status indefinitely would remain in a prolonged legal limbo. Meanwhile, the government has signaled that the vast majority of Central Americans who have come into the U.S. in recent years would likely not get legal relief to stay. And although President Barack Obama is reportedly considering a pilot program that would screen people for refugee status in Honduras before they make the perilous trek to the U.S. border, he's said he expected the number of refugees to remain low.